Anybody who’s ever put on makeup, whether just once or on a regular basis, would know how fun and complicated it can be. Despite all the colors and tricks you can do, there are things that can still go wrong. Not to mention techniques that give unflattering results. The worst part is we only know how godawful we look after we’re tagged in pictures and by that time it’s way too late to rectify our errors. To avoid making these blunders again, here are a list of the most common makeup mistakes and how to correct them. 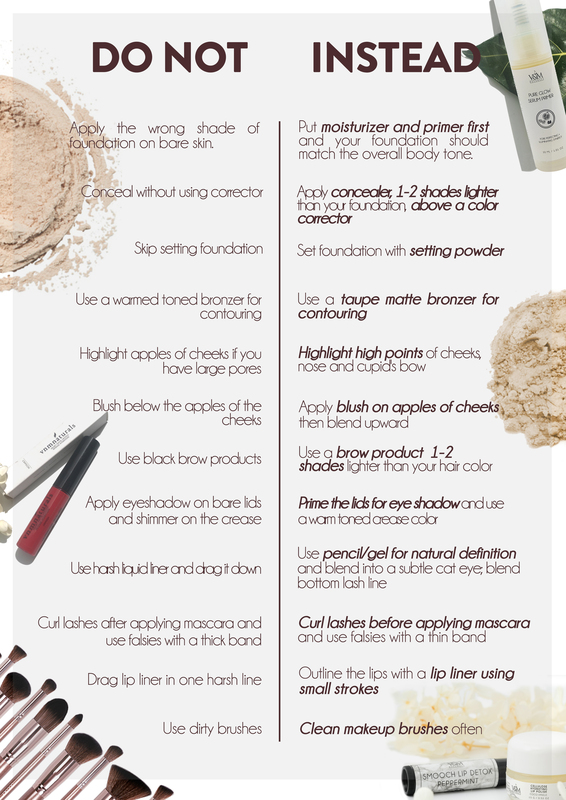 In addition to all these tips, you can also try our Makeup Line to ensure that you get amazing coverage, hue and longevity without the added chemicals. These also have long-lasting benefits to your skin the more you use them. So, get your hands on our available products today! Wanna try these makeup techniques without causing damage to your skin? Go to our stores in SM MOA, SM Megamall, SM Southmall, SM North EDSA, SM Clark, Glorietta 3, or our Fairview HQ. You can also visit our website, Facebook or Instagram pages to know more.